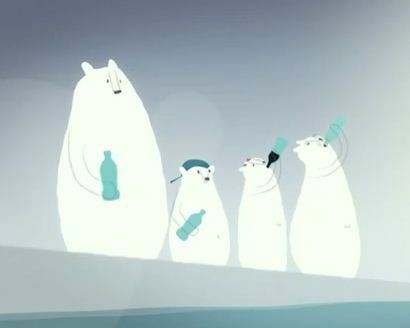 Check out The Real Bears a video produced by The Center for Science in Public Interest to counter the commercials produced by Big Soda. Since I have shown it to my kids Z16, R13 and T10 they have totally changed their attitude about things with sugar in them. They have not been asking for sugary drinks and are much more likely to take no for an answer the first time they ask me for something with sugar in it.